The further you get into the story of Nelson Mandela, the greater it becomes, because the detail of his own life and times is only part of that story. The impact he had, and continues to have, on so many lives means there’s no end to the narrative; you’re never done learning from it. For me, a great leap forwards in understanding came on the research trip to South Africa I took with the exhibition creative team in April 2018. 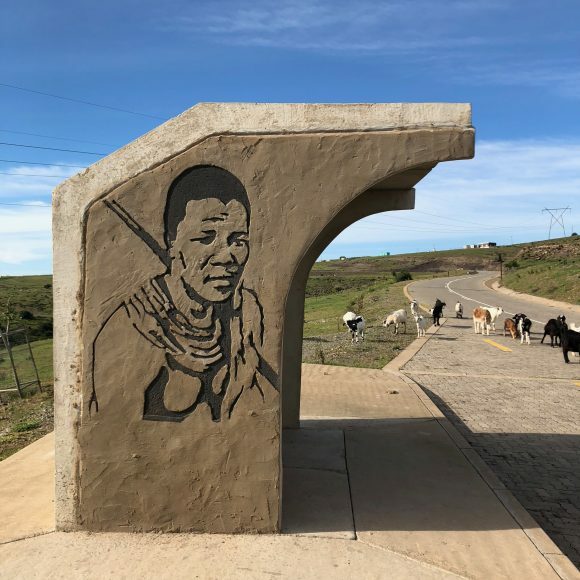 We visited some of the key places in the Madiba life story: his childhood homes in rural Eastern Cape, then south to the prisons of Robben Island and Victor Verster (now Drakenstein Correctional Centre). Finally we travelled North to Johannesburg, where we met with Madiba’s grandson, Chief Zwelivelile Mandela. By chance we were in Soweto on the day of Winnie Mandela’s funeral and witnessed some of the huge public expression of love towards her. Each location, and each conversation, gave me something new. 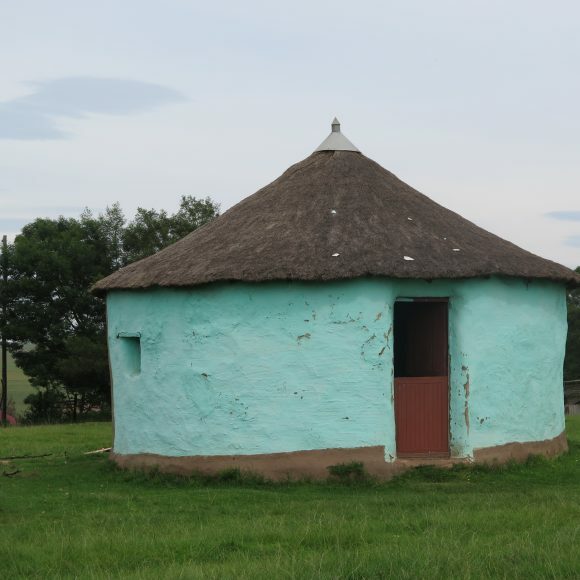 Madiba’s childhoods village homes in the Eastern Cape are far from the hectic city pace of Joburg. 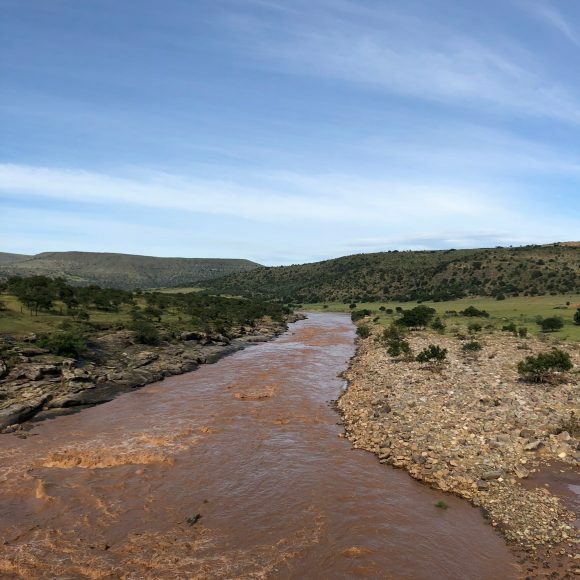 The villages of Mvezo, Qunu and Mqhekezweni nestle in a landscape of rolling hills beyond the winding, silvery course of the Mbashe river valley. From the air you can clearly see the erosion gullies carved here and there in the soil by flash floods. It’s tempting to read these as symbolic of South Africa as a nation – a beautiful land that bears the scars of a turbulent past. In Mqhekezweni we stood with Chief Zanomthetho Mtirara in the rondavel that had once been home to Nelson the schoolboy. There, we reflected on the profound influence those early times had on shaping Madiba’s leadership qualities, and why he chose to return to the area so often in his latter years. Almost inadvertently, you find yourself reflecting on your own life, too. What difference have you made so far? How can you self-check and build into your daily life some of those ‘Mandela-isms’, some of that energy, kindness and tolerance. The more I learn about Madiba, the more I’m impressed with his astonishing drive and his capacity to walk the talk. Here was a man who accepted flaws as a given in all human beings, including himself, but never stopped believing in our capacity to transcend and become better people. Robben Island is a key part of the Mandela story, but I wondered how I’d feel when we finally visited the prison there. For so many years it was a by-word for everything remote and forbidding; from the UK it had seemed to me almost a place of myth. 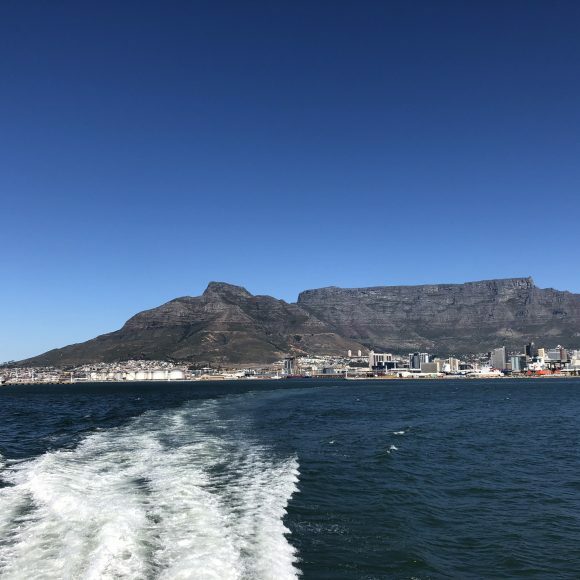 The day we took the ferry out to the island we saw it at its Instagram-pleasing best – on a calm tide, framed beneath a blue, sunny sky. But just beneath the tourist veneer I detected a sense of the place as Madiba and his comrades must have experienced it. A stark, austere outcrop of walls and wires, rocks and stones. 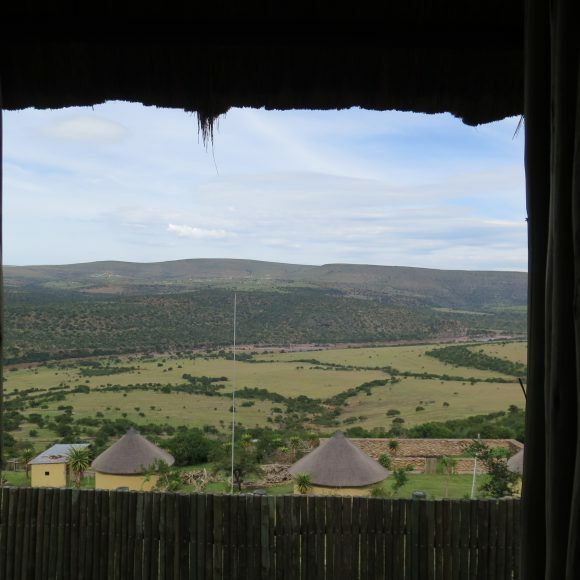 From the courtyards you can hear the gentle breaking of distant waves on the shore and the clamour of nesting terns, but I imagined it transformed on a winter’s day – lowering grey skies, icy Benguela winds driving in from the Atlantic, whipping up bitter clouds of grit like needles. Prisoners shivering in their cells or labouring in the relentless glare of the limestone quarry. The stolen time, the lives lost. And the mainland, visible just seven miles across the water, but seemingly forever beyond reach. We met with ANC ex-political prisoner Itumeleng Makwela, who shared his moving story with us. 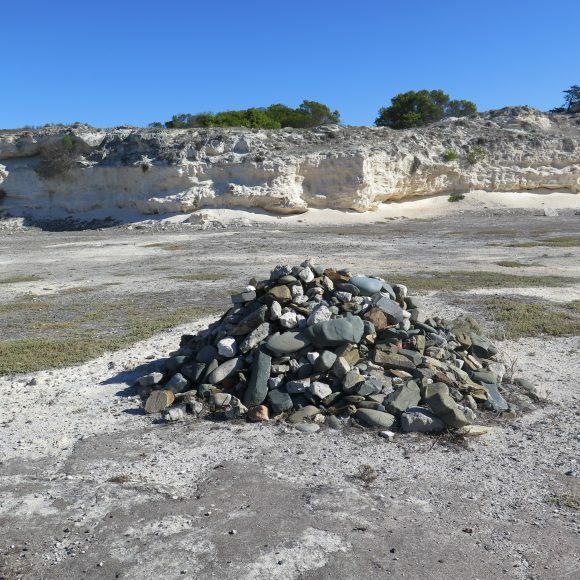 He was tortured and imprisoned at Robben Island during the 1980s, and has now returned to live on the island, where he works as a guide, partly because he struggled to find permanent work on the mainland. Every day he walks the corridors and courtyards with visitors, and relives the suffering he endured there. Our encounter suddenly made it all real again ‘apartheid’s not some past wrong safely neutered by time and confined to history. The realities of it are still carried by the people who lived through it, and much remains to be done. 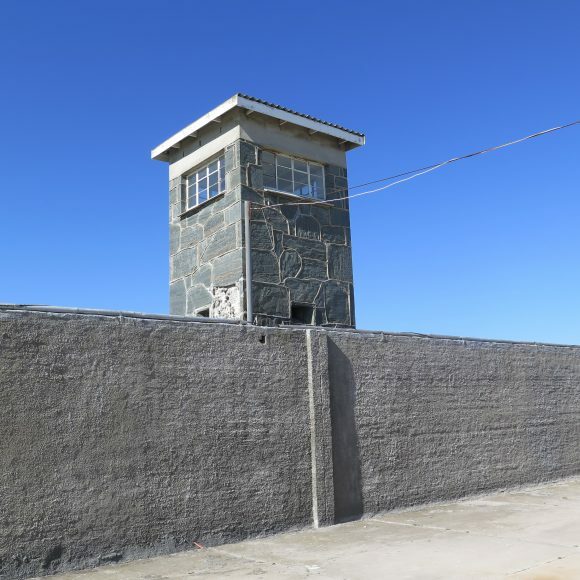 We think of Madiba and his colleagues transcending Robben Island, and its regeneration as a place of pilgrimage and memorial. But Itumeleng’s grim experiences were a sharp reminder of the ignorance, fear and cruelty that ruled this place during the apartheid years. The things that went on behind closed cell doors and in bleak courtyards. The attempts to bury the ANC’s struggle and erase its political prisoners from history. In contrast, the most profound and lasting experience for me was the unconditional warmth and kindness extended to us by the South African people we met. They were generous with their time and knowledge, and the welcome they gave us was humbling. 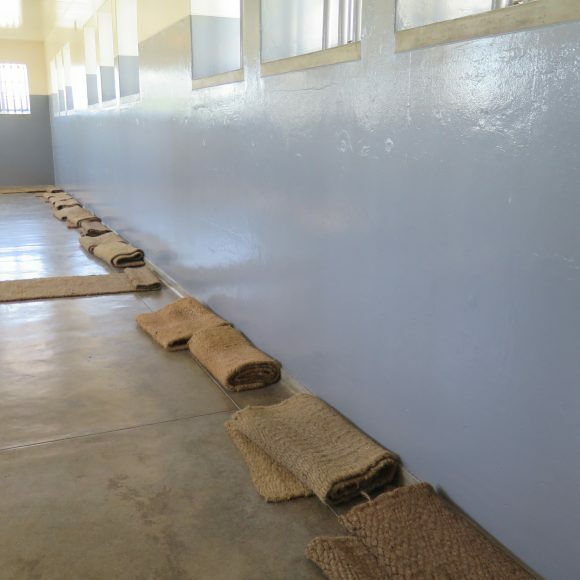 Each of our group experienced moments when it all became emotional; my moment caught me by surprise as we stood in the bungalow at Victor Verster prison, where Madiba spent his last days as a prisoner. The layout of the bungalow is much as he left it in 1990 ‘at first glance it’s an unremarkable series of rooms. But as we stood around the dining table where Madiba once sat, drafting an early version of South Africa’s constitution – talking, negotiating, planning his release – I felt a wave hit me, something beyond words. 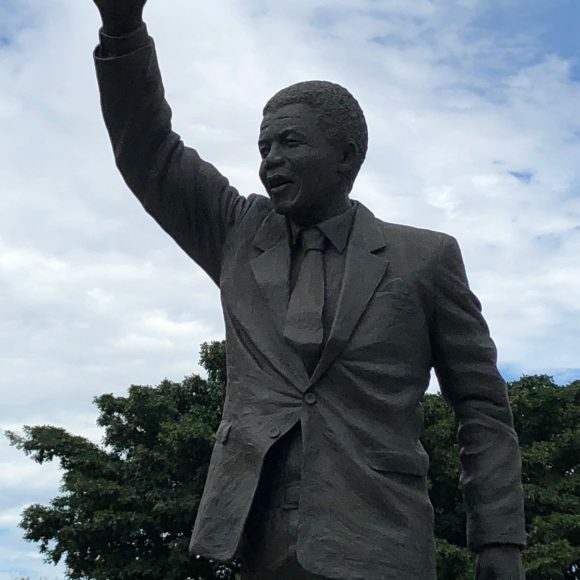 The scale of what Madiba and his people endured, what they achieved against the odds, the stories of our prison guide Manfred Jacobs, and the various threads of our experiences in the past week – all these things suddenly tied together and it was overwhelming. One last thing. As we drove through Joburg towards the end of the trip, we passed a billboard that displayed just five words. It said: Forgive them and move on. To do so must surely require phenomenal strength, given the long shadow of the past and the ongoing inequalities in South Africa. But there it was – a reminder and a call to action that seemed to perfectly embody the essence of Nelson Mandela. Still with us, still a guiding light in difficult days. If our exhibition can convey just a bit of this indefatigable spirit of love and forgiveness, then it will be a success indeed.